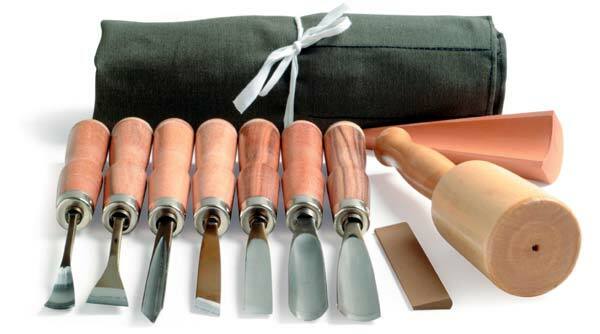 This deluxe set of 10 essential wood sculpting tools are expertly honed and ready to use. Each tool is fitted with a leather-tipped handle for ease of use. The set comes in a canvas roll for safety, storage, and ease of transport (color of canvas roll may vary).